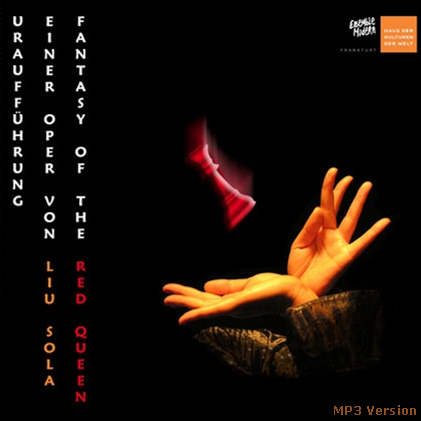 Although not stated on the artwork, this is live at the Westfallenhalle, Dortmund, Germany, November 30, 1980. Just barely two days before (if the release dates are correct), The Jam had released what would have been one of their best albums. Paul Weller certainly thinks 1980's Sound Affects was the group's best work. On this show, of the album's 11 tracks, the group left out Monday, Music For The Last Couple and possibly one of The Jam's biggest hits, That's Entertainment. Perhaps the group was trying to promote their then latest single, Start!, and didn't want to detract any attention from it. 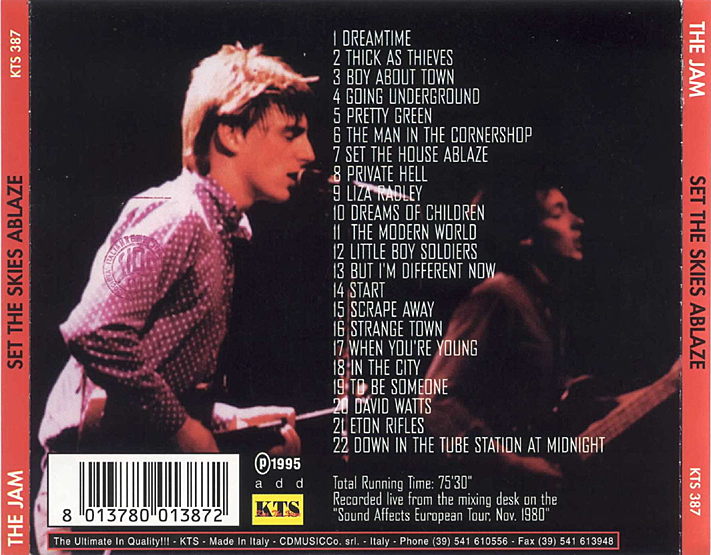 Not surprisingly, The Jam's greatest hits compilation, Snap!, features the trio of That's Entertainment, Start! and The Man In The Corner Shop from the Sound Affects album. Even without That's Entertainment, this is still a solid show with a good selection of oldies thrown in. The sequencing of the songs in the setlist is quite exquisite - Weller opens with a new song, Dream Time, then goes into Thick As Thieves. With the exception of Going Underground, five of the first seven songs are from the new album. The mix of the new with the familiar continues in the later half of the show where But I'm Different Now, Start! and Scrape Away are bunched together. Weller is in fine attacking form - it's as if the pent-up energy from the recording sessions has seeped over and he's singing like there's no tomorrow. While he generally introduces the new songs, there isn't much banter between the songs - Weller preferred to let the songs do the talking: the group's take on the Beatles and Michael Jackson as well as a comment on working class aspirations (The Man In The Corner Shop), dealing with the '80s (The Modern World), skinhead violence (Down In The Tube Station At Midnight), anti-authoritarian rule (The Eton Rifles), loss of childhood (Dreams Of Children), anti-war (Little Boy Soldiers) and general apathy (Scrape Away). This was recorded in Germany from a Rockpalast TV broadcast but the show has never been officially released. The sound is superb, and so is the band. 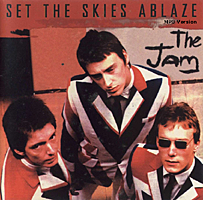 They were two years away from calling it a day - catch them when they were still hot and angry (bassist Bruce Foxton and drummer Rick Buckler reformed The Jam earlier in 2007 without Weller). *Studio versions found on Sound Affects. Click on the link to order The Jam 's Sound Affects.